We are very happy with how everything turned out on our wedding day. Your team did an amazing job, and we couldn’t be happier. We’ve gotten lots of compliments on the music and it made me happy to see everyone out on the dance floor the whole night! We added a review to the wedding wire website. Let me know if there is any other website you would like us to write a review on. Thanks for everything! I am the buffet captain for Wine Country Gardens. I had the pleasure of working with Party Inc., and their crew for a wedding that was held on Saturday Sept. 1st. Party Inc.’s organization and ‘take charge’ attitude made my job so much easier. Party Inc. guided the wedding party through the entire event and made sure everything ran smoothly. They did this with professionalism and a wonderful sense of humor. I was extremely impressed with the Party Inc’s crew. I hope we get to work together again in the future. We just wanted to thank you and Party Inc. again for the fabulous job you did DJing our wedding. We truly could not have asked for anything more & we are so grateful to you for throwing us the BEST Wedding reception EVER! We hope to use you again sometime in the future! Our DJ was incredible. He was very professional and never missed a beat. We were extremely happy and pleased. We have recommended you guys to others having weddings coming up next year. From the bottom of our hearts thank you SO much for helping our special day go by so smoothly. This survey cant even begin to show & express our gratitude. The up lighting was so beautiful, the monogram – lovely, and your DJ’ing & MC’ing was just perfect. We had so many of our guests tell us how good our DJ was. And we gave a good word in for you to all our guests. No stress at all! From me, or Jane. Surprisingly, because I always hear about wedding horror stories, but not a single one from us. You made our entrances amazing, the centerpiece game was fun. Again, thank you so much. We couldn’t of lucked out any better than by choosing to go with you for our wedding DJ. We definitely will always keep you in mind whenever we, or anybody we know has a function or event. Thank you so much for being a part of our day.– Terry M.
Thank you so much for making our wedding so memorable! You did a fabulous job as an mc and getting our music taste perfect for our guests! We still look back and are so happy you got our guests on the dance floor. We had a great time and couldn’t have picked a better DJ! Thank you for your awesome work! – Drake & Aileen W.
We liked your taste in music and that you honored our requests. The event flowed smoothly because of your help and we appreciated that you were so organized and on top of everything. As a DJ you were friendly and relaxed, and one of our guests even assumed you were a good friend of ours. Party Inc. created a phenomenal atmosphere for our event and kept the dance floor rocking all not long. I’ve been to dozens of weddings and corporate events and have never seen a DJ who was able to hit the mark with every song he played. The organization and communication in advance of the event was very professional and the song selection, comments, and equipment for the event were all first-rate. 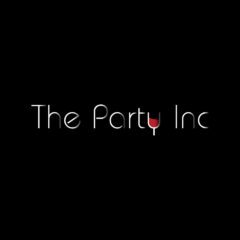 I would recommend Party Inc. to anyone looking to host an event with music and dancing. ​Thank you for all you did & provided for us we are so appreciative of your working with us regarding pricing. Different requests & patience w/ an event planner. Our guests also recognized what a great job you did.